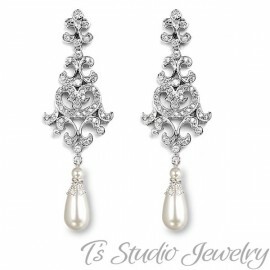 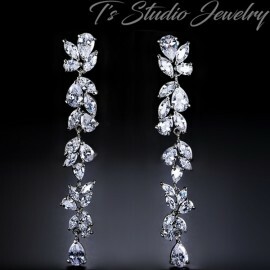 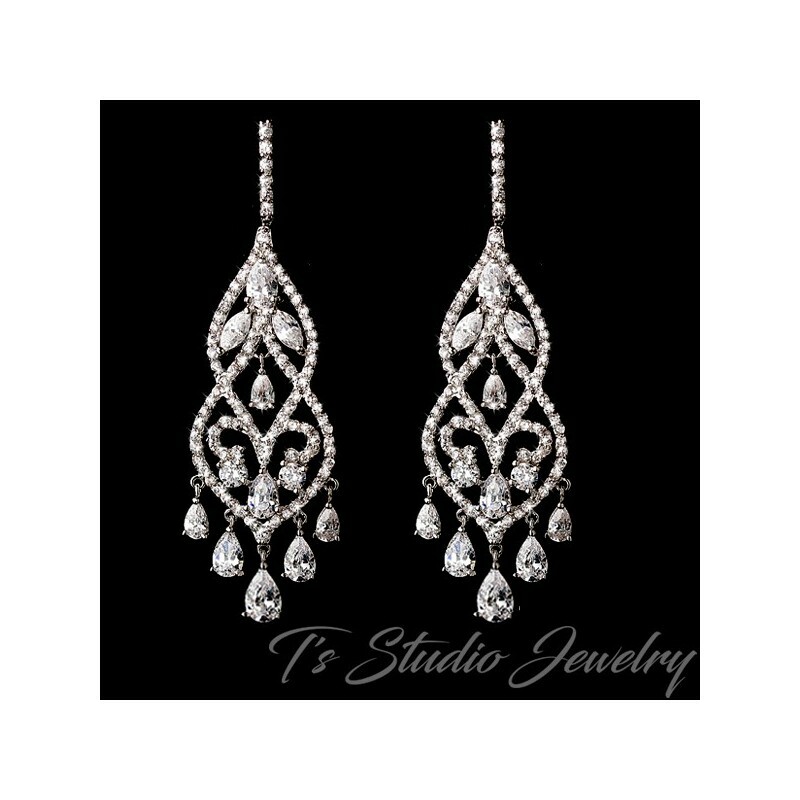 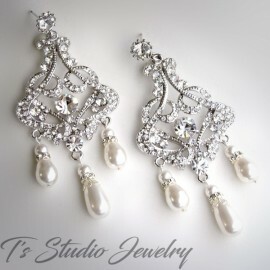 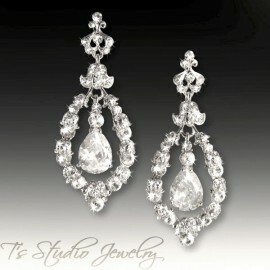 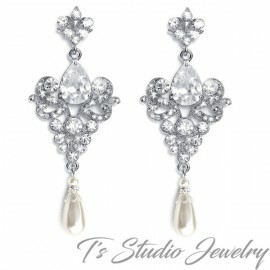 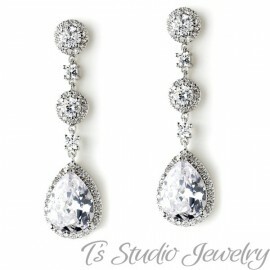 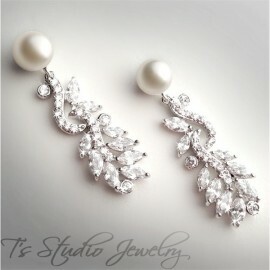 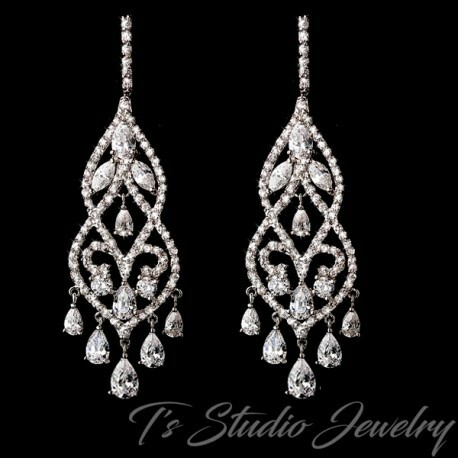 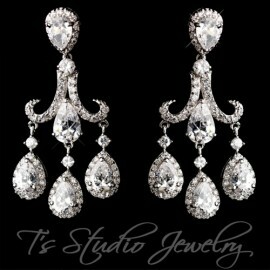 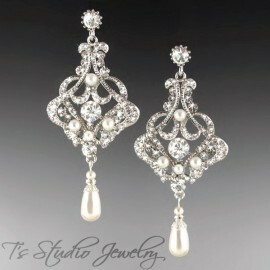 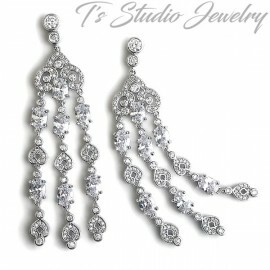 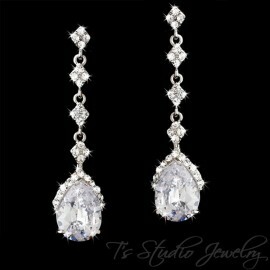 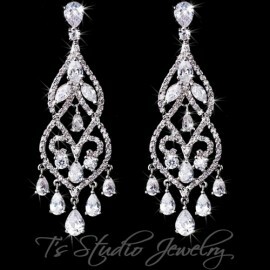 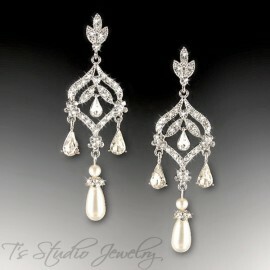 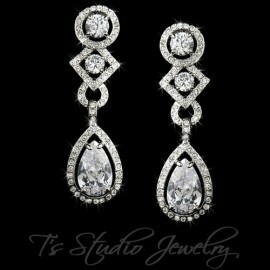 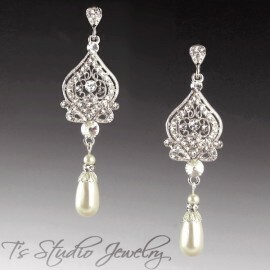 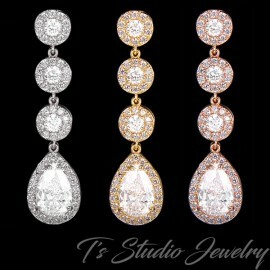 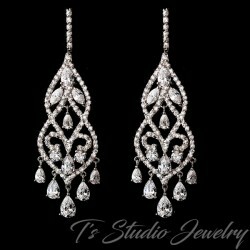 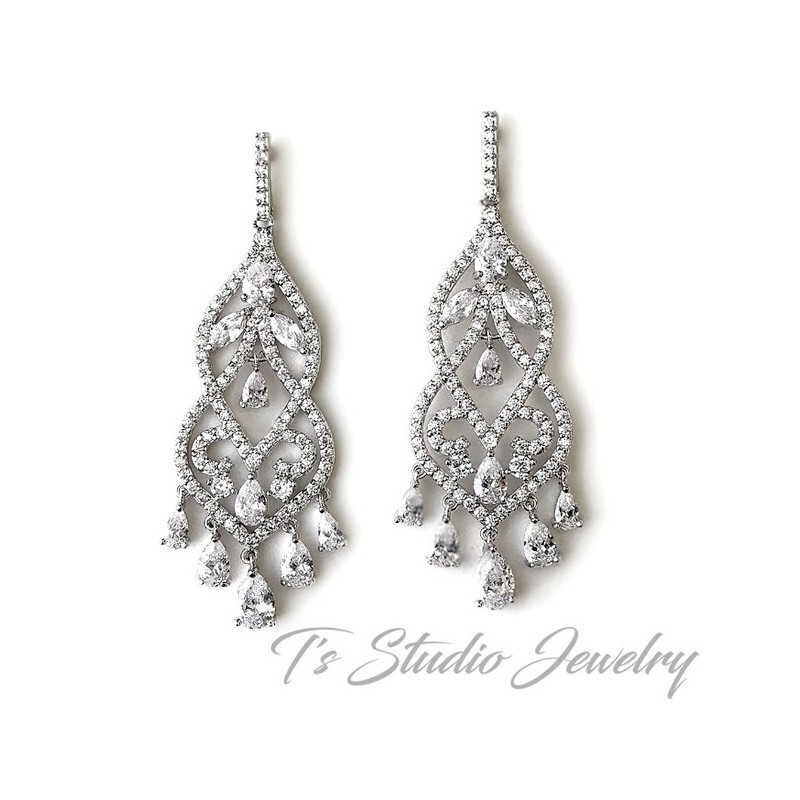 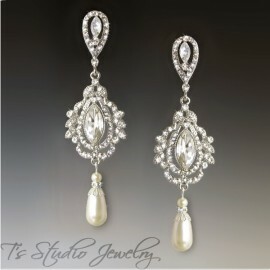 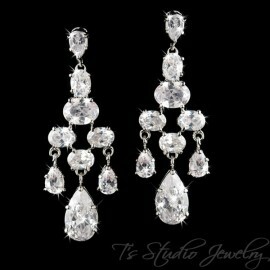 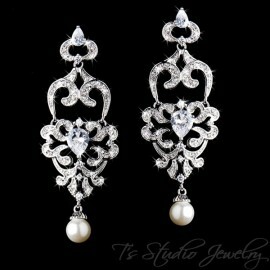 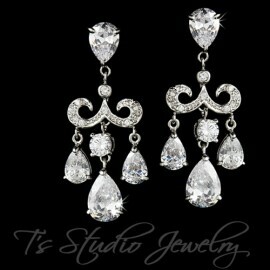 These stunning bridal chandelier earrings are covered with tiny clear cubic zirconia crystals on a swirl design. 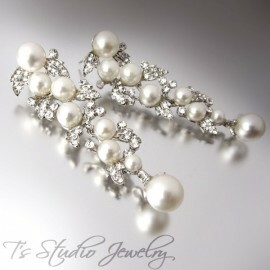 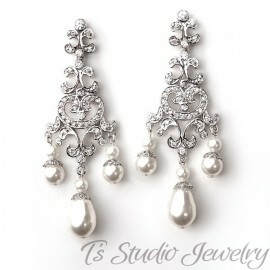 They are a wonderful fashion accessory for brides, bridesmaids or even the prom queen! 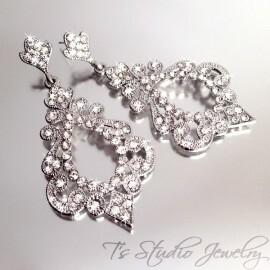 Earrings measure 2.5” long x 0.75” wide.